자비도량참법은 경전을 읽으면서 죄를 참회하는 불교의식을 말한다. 이를 수행하면 죄가 없어지고 복이 생겨난다고 하며, 죽은 사람의 영혼을 구제하여 극락으로 인도함으로써 고통으로부터 벗어날 수 있다는 공덕기원의 뜻을 담고 있다. 이 책은 나무에 새긴 다음 닥종이에 찍어 낸 것으로, 권1∼3이 1책으로 묶여있다. 원래는 두루마리 형태로 만들기 위해 한 판에 20행씩 글자를 새겼던 것을, 10행씩 찍어내어 책으로 만들었다. 크기는 세로 29.2㎝ 가로 17.4㎝이다. 검푸른 색의 표지에는 이 책의 다른 명칭인 ‘양무참문(梁武懺文)’이 붉은 글씨로 쓰여 있으며, 권의 첫머리에는 지장보살도와 불·보살이 묘사되어 있는 변상도(變相圖)가 있다. 이 책은『상교정본자비도량참법』권7∼10(보물 제875호)과 동일한 판본으로, 보물 제875호 책 끝에 있는 간행기록을 통해 고려 공민왕 1년(1352)에 수한(守閑), 신규(信珪) 등의 주선으로 판각된 것임을 알 수 있다. 그러나 종이의 질이나 책의 형태 등으로 보아 조선 초기에 찍어낸 것으로 추정된다. Jabi doryang chambeop refers to a Buddhist rite wherein people repent of their sins while chanting Buddhist sutras. People believe that, by practicing the rite, sins would disappear and luck would come. The rite carries the meaning of practicing good deeds and overcoming suffering by saving the souls of the dead and by leading them to paradise. 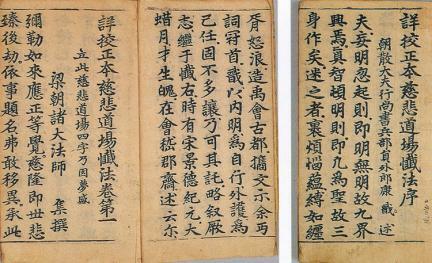 This book was engraved on wooden plates and subsequently printed on mulberry paper. It compiled Volumes 1-3 into one book. Originally, 20 lines were engraved on each board to make it in the form of a scroll; later, however, 10 lines were engraved on each plate to make it into a book. The size of the book is 29.2 cm long and 17.4 cm wide. 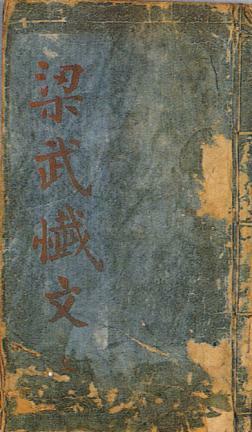 Written in red on the dark-blue cover is another title of this book, Yangmuchammun (meaning “Repentance of Wu of the Liang Dynasty”). 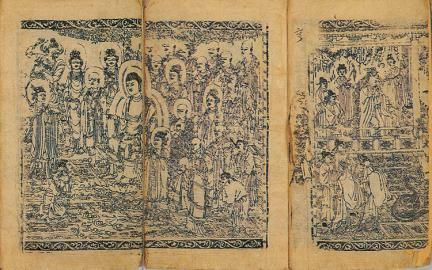 Ksitigarbha Bodhisattva and Buddha Bodhisattva are depicted on the first part of the book. This book is the same copy as Jabi doryang chambeop (Repentance Ritual of Great Compassion), Revised Version, Volumes 7-10 (Treasure No. 875). The publication record on the last page of the book (Treasure No. 875) states that wood engravings were made under the supervision of Suhan and Singyu in the 1st year of the reign of King Gongmin (1352) of the Goryeo Dynasty. 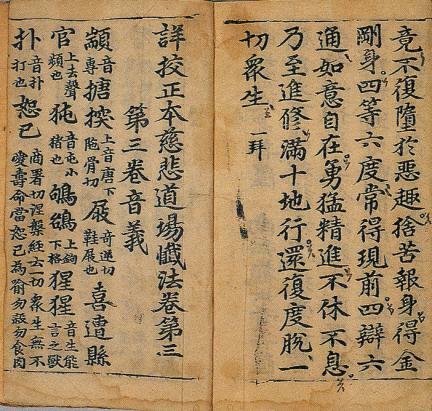 Based on the quality of paper or style of the book, however, it is presumed to have been printed in the early Joseon Dynasty.